If there is one word that may best describe the new business world of the early 21st century, then it is “entrepreneur.” Surprisingly, we have the Great Recession to thank for this trend, as many people had to start their own businesses as an alternative to finding a job. With the economy now in full recovery, new entrepreneurs are starting companies as an opportunity, not a necessity. In fact, that was the case with 78% of all entrepreneurs during 2012, the largest percentage during the previous 14 years. In addition, more women than ever are entrepreneurs/business owners: 9.1 million during 2014, compared to 8.6 million for 2013. 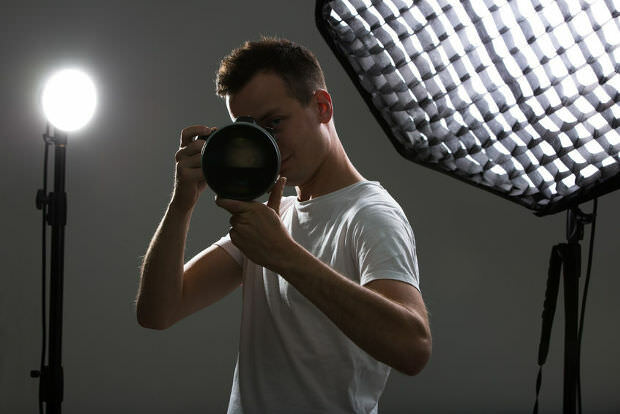 It’s all evidence that this is a great time to start a business – and if you’re passionate about photography (and you must be if you’re reading this article), then opening a home-based photography business may be the best choice of all. As a photographer, you’re fortunate that a photography business is one of the easier types of home-based businesses to start, manage and grow. Here are a few of the major steps you must take to give it every opportunity to succeed. Just because you’ll be working from your home doesn’t mean you can forget about the essentials elements that must be in place. A basic, simple business plan will outline your goals (defined in terms of revenues or number of customers), the kind of photography products and services you’ll offer and a pricing structure and how you will market and promote your business to reach your goals. It’s a good idea to confer with an attorney and/or accountant to put all the legal and financial protections in place, so your personal assets, such as your home, etc., are not tied to the business. 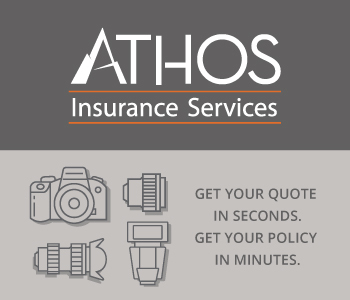 Insurance is another essential, as most standard homeowner policies don’t apply to a business operating from your home. Operating a home-based photography business will save you money and provide some tax advantages, but it also must co-exist with the private life of you and your family members. Although it isn’t absolutely necessary to be able to meet with clients in your home, you still want a designated room or space separate from the family’s living quarters. This is also part of establishing clear guidelines for everyone in the home that when you’re in that space you are working and shouldn’t be interrupted. Having a separate space also protects children and others from being injured from equipment or causing damage to equipment. The best strategy, however, including for insurance reasons, is to have a highly secured, locked cabinet for all your photography equipment, so accidents can’t happen and burglars are deterred. As important as having all the legal, financial and insurance elements in place, marketing your business is the key to its success. With a home-based business, of course, you won’t have a commercial storefront presence or a sign hanging on the front of your house. That may actually be to your advantage, not only because of the cost savings, but also because it will compel you to rely on a Website, social media and mobile marketing to gain exposure in your local market, and build a brand. All these digital and online marketing channels will help you create a “virtual” business persona without the need for a studio or commercial space. Other than providing basic information about your business and links to your social media pages, a Website becomes a powerful tool when you add a blog. It may be the easiest way to develop a rapport quickly with your local market and provide prospects with the kind of information they are seeking and that causes them to return to learn more. More importantly, writing a regular blog helps to identify you as the local expert in the kind of photography products and services you offer. Research shows that the vast majority of people trust the information they read in blogs; a blog is a great lead generator; and the accumulation of weekly blog posts significantly improves your business’ position in Internet search results. You may want to start a home-based photography business because you are passionate about photography and know you have an eye that will result in photos that your customers will love – and will love to buy. At its foundation, however, it is still a business; and you’re more likely to succeed if you schedule time for your continuing business education. You can’t learn too much about sales and marketing; and good time management is a critical skill, especially for the small business owner working from home. Make sure you are reading books, watching DVDs and YouTube presentations and attending seminars on business topics. Not only will it help your home-based photography business, but also prepare you for the day you’re ready to move your business to a studio or commercial space. You can make the process of starting a home-based photography business much easier, know that you haven’t forgotten any important components and learn the insiders’ secrets that lead to success when you rely on a single source of information, such as the book, Clicking for Cash from Home, by Laura L. Smith. You want to learn what Laura knows because she has operated a home-based photography business for more than 20 years. She knows the pitfalls to avoid and the direct route to success.